For this weeks podcast, I am joined by Seattle based fine-art photographer Gina White. Gina has been a photographer for over 25 years working primarily in historical and analog processes. She is a a faculty member at the Photographic Center Northwest where she teaches primarily black and white analog courses along with several courses focused on alternative processes such as lith and bromoil printing. In the interview, we discuss what it means to be a photographer and to live a creative life. Tracing her root back to that first camera and what it means to be behind the lens, Gina provides some great perspectives on what it means to be a working artist. She talks at length about the trade offs when you live as an artist and what those trade-offs have meant for her. We talk about her love of teaching and of Paris. I have know that Paris has been a huge influence for Gina, but it was interesting to hear her talk about some of her favorite artist, photographers, and musicians who have all impacted her life. 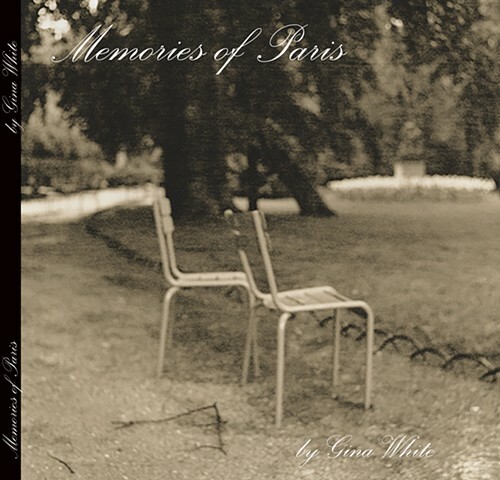 I was also so excited because Gina agreed to announces the release of her first book Memories of Paris. The book is a love affair with Paris that started years ago and has been her focus for the past year. The book will be available in mid-January but is available for pre-order from her website. The images in the book are reproductions of her lith prints, and provide a wonderful view into the sights, smells, reflections and textures of Paris. The first printing of the book is limited to 100 hardback copies with dust jacket. You can get a copy of the book for $100 or a copy of the book plus a print for $250.